Silvia from Dark World Books has designed another amazing cover. Check out the cover for The Ferryman’s Wife by Georgina Merry. Wow. Creepy, mystical and dark. A spoilt heiress is propelled into a dark world of lost souls where she is taken prisoner by powerful being known only as The Ferryman. Add The Ferryman’s Wife to your Goodreads list! 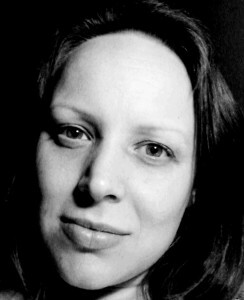 Born in Scotland, Georgina Merry has been actively involved in both writing and the performing arts from a young age. This led her to study a drama degree with playwriting as her specialist subject. After graduating she’s juggled full-time work as well as having numerous articles & reviews published in local entertainment publications. She currently resides in East Lothian with her incredibly supportive husband and their young daughter. Best of luck to Georgina with the release. The Ferryman’s Wife sounds like a fabulous, gothic tale. I’m looking forward to meeting the mysterious Laurie de Bufort. 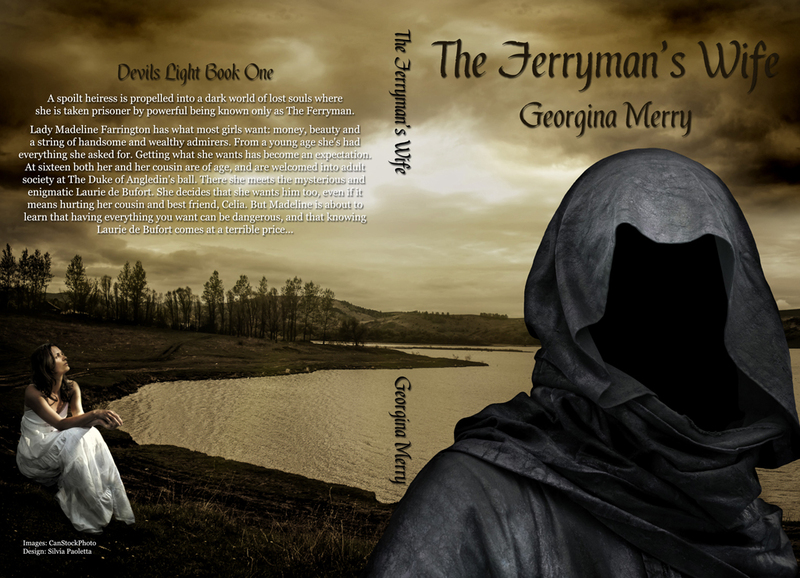 This entry was posted in Book Reviews and tagged book covers, dark world books, indie book covers, the ferryman's wife georgina merry. Bookmark the permalink. Thanks for always sharing my designs, Emma!! Well done, Silvia. It’s a beautiful cover. Thank you very much for hosting this today. You’re welcome, Georgina. Best of luck with it. This book looks awesome! Is it out yet? Hi Trish. Yes it’s out. This sounds awesome and the cover is outstanding! Adding to my Goodreads list! I, for one, will be checking this out! I’m wondering if she is waiting for him. Love the cover and the sound of this book! Very intriguing! The blurb gives it the story a historical feel as well as paranormal. It should be good. Sepia sugared tones, lovely, and a wrap around cover, I like it. Ha ha, tis holy creepy alrite. This is one of the most awesome covers I’ve seen lately! The artwork is beautiful. Silvia is a great graphic designer. *blushes* Thanks, Emma! And also thanks everyone for the very amazing compliments about the cover, it means A LOT to me!!! !